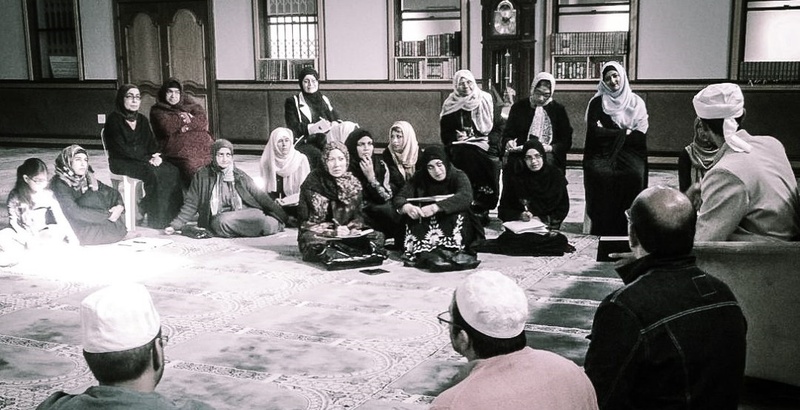 The IslamicText Institute offers learners the opportunity to connect with the Quran, Sunnah and rich Islamic history in a traditionally setup environment. Our focus is qualitative rather than quantitative as we believe that the benefits of quality education far outweigh the benefits of quantity. 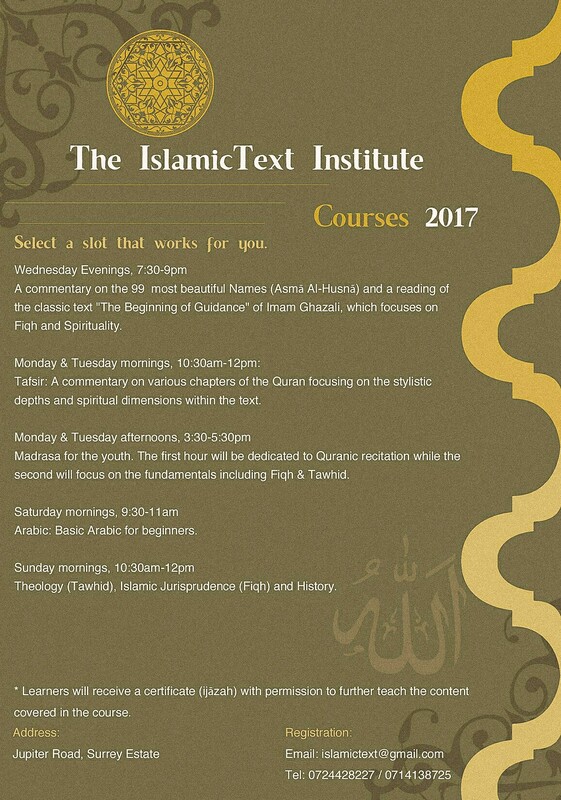 The Institute is located in the southern suburbs of Cape Town in Jupiter Road, Surrey Estate, and has been around for over a decade. 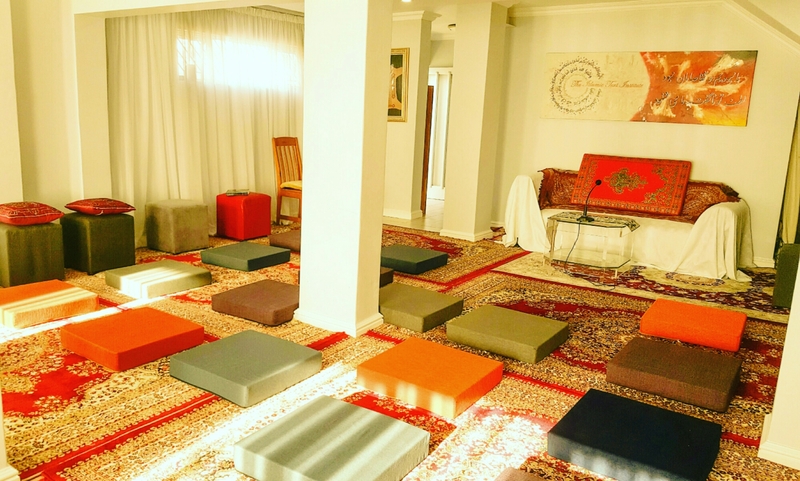 For those outside of Cape Town, we offer online audio sessions. Registration is as simple as emailing Islamictext@gmail.com with the subject “audio registration”. 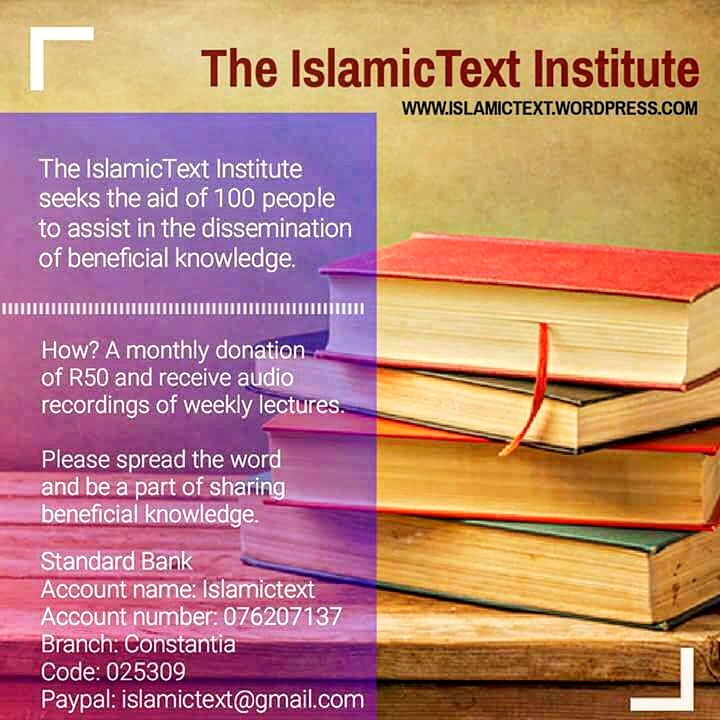 Subscribers receive regular audio sessions directly to their watsapp application immediately after registration. Our youth classes for 2017 are small and will host no more than 10 learners per class so as to ensure that each receives due attention. Occurs twice a week in the late afternoons. Slots are available on Mondays and Tuesdays at 3:30 – 5:30pm. An Hour is dedicated to the recitation of the Quran and an hour towards it’s understanding through Fiqh, Beliefs and Morals/Ethics. Sheikh I am retiring soon Insha Allah. Awaiting outcome of application. Can I register late? In other words when I am relieved of my teaching responsibilities, Insha Allah?